I'm a little behind, but adding swimming to my afternoons prompts me to take my photo as soon as I get to my apartment. Afterwards I get ready for the gym and yesterday I got back and went out for dinner. No time left to post because I came home afterwards and passed out. I slept so well, and that was probably because working out actually takes a lot out of me. 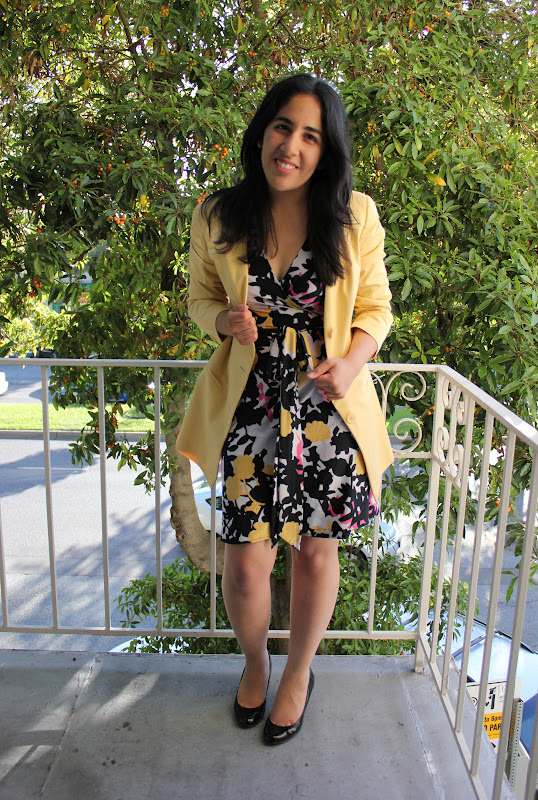 I am really happy with this yellow blazer. First of all it is Fendi, and it clearly needed to come home with me. Once again I snagged an amazing find from a Goodwill, and for only $7.99! Say what?! 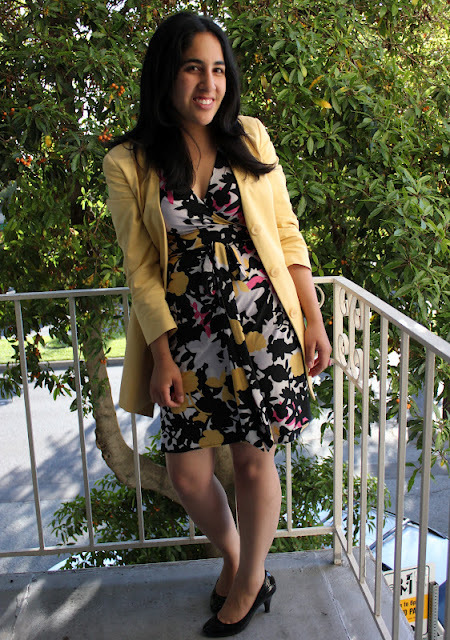 To top it off, dry cleaning was another $7.50, so a total of about $15 to add some serious color to my outfit. I've worn the other pieces in my outfit before, so I am really stretching my dollars. Straight hair adds to the polished look, which was necessary for a big meeting with my supervisor. I'd say this would be great to wear to a job interview, especially because the bright yellow blazer would stand out amongst black and navy suits.